remodeling | Vim & Vintage - design. life. style. As I mentioned before, first on our renovation to do list is putting down some beautiful hardwood. You’d think because of my career field it would be much easier and this girl would already know what she wants. Not so much! I think because I’ve been exposed to a wide plethora of choices it has made the decision that much harder. There are so many different factors to consider with wood floors. Before you make a selection, you need to make a decision on the construction & maintenance, wood species, plank size and texture, and color/stain. This tops the list for a reason. The most important thing you need to consider above anything else! It’s such a large investment, you need to carefully consider the types of woods available, their price, their installation method, and how to maintain them. It being an older home, I reallllly wanted to put down solid flooring, sanded and stained on site. I soon found that the labor costs would bust the budget. Then I explored some prefinished solid wood options. The greatest advantage going with solid is that you can always sand the floors down and restain. But when we began looking at engineered, I found there were so many more options, styles, and colors available, and usually at a better price. Putting wood in the kitchen is big right now, but you need to remember: wood + moisture = disaster. So if this is in your plan, make sure to order extra wood so you can replace boards in case of a leak or water damage down the road. Hardwood in the bathroom is never a good idea, but have you seen the new plank style tiles that resemble wood? That’s actually tile in the bathroom below. In search of something in a medium color, I realized I do like some color contrast in the planks. Certain wood species are more uniform in color, while others have more variation. 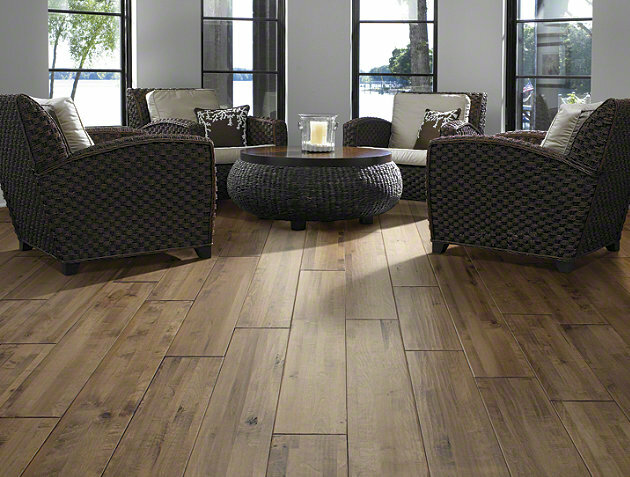 This hickory and pecan floor mix (below) is really pretty. Variation but subtle. Certain species (like Pine shown below) are very knotty, giving a very rustic feel. Researching the different types of wood is a great way to learn their characteristics and what to expect in terms of hardness, color change over time, etc. Smaller planks (2-3″ wide) tend to be more traditional, and can be found in older homes. Most of the plank sizes you find right now are 4 or 5″ wide or even larger. 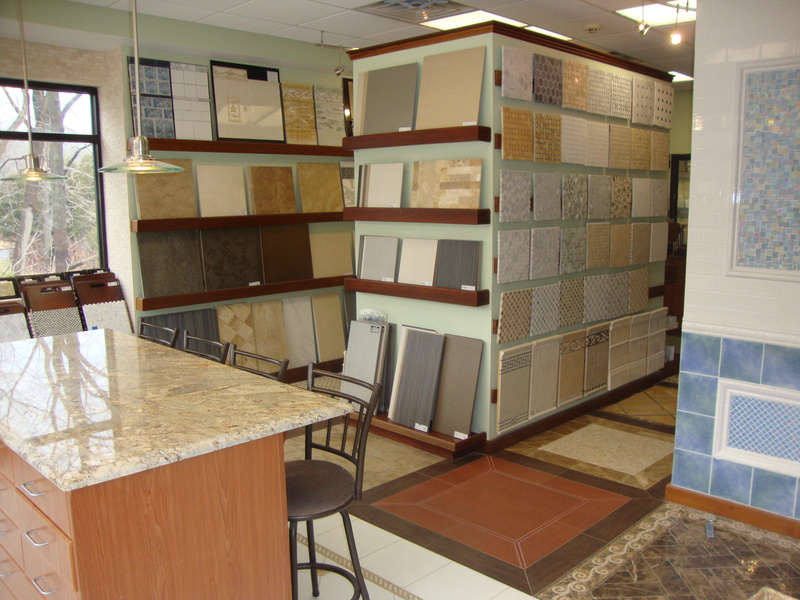 Hand-scraped patterns for engineered floors are really in right now, most of what you find will be that. Distressed and hand-scraped are more forgiving than smooth floors, as scratches will be much more noticeable. I love the look of a dark stained wood floor, but the maintenance is something to be desired. I’ve watched it go into many of the projects we do, and let me tell you every piece of dust, dog hair, and footprints would show up on this. The look of very light wood is great too, but is a lot more contemporary and informal. For my project, it’s almost too modern for the look I want to achieve. 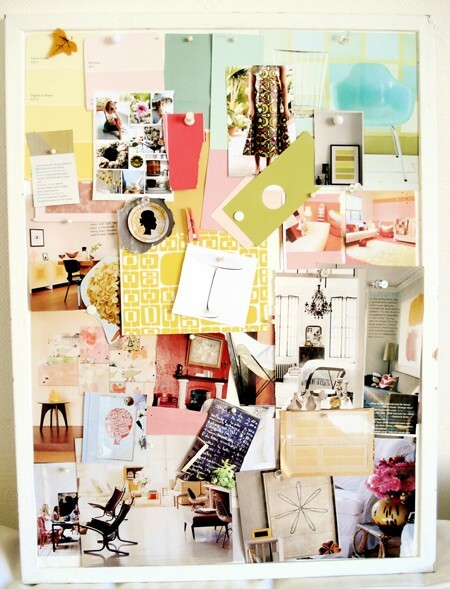 When considering color, you need to remember it’s all part of a bigger plan for your room. Think about the colors of the furniture and fabrics you’re putting on top of it. For example, if you have all very dark furniture or want to paint the room a dark color, it may not be a good idea to put down dark wood floors. You could put a light-colored rug to create contrast, but more often than not the whole room will seem very dim or smaller. How to select interior materials like a pro! Step 1: Finding what inspires you. It all starts here. Have you always wanted to have a vessel sink? Or have you been coveting hardwood floors for years but have never had them? Now’s the time to have your cake and eat it to. Chances are (unless your day job is flipping homes) you probably aren’t going to be doing this process again for many years. Flip through magazines or go on Pinterest and gather ideas. This is the best way to determine what look you are going for. Shopping for home products can be a lot like going to get a puppy – we choose something because “it’s just sooooo cute” but then don’t think about how it will age, and how taking care of it fits into your lifestyle. 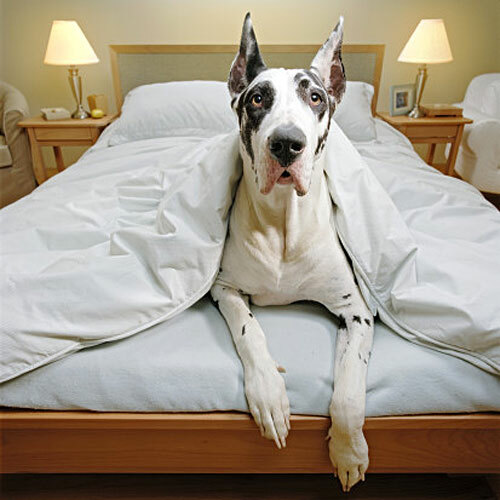 Building materials are like dogs – different material “breeds” have different characteristics. For example, polished floors can be a slip hazard, and may not be something that works for your family if you have small children. Having pets, young children, elderly family members, or other special circumstances should be taken into consideration. Look at your activities and traffic patterns. Think about the longterm maintenance, efficiency, and sustainability. Be creative, but do your homework. By this point you have probably chosen a few different materials, but it may feel boring or like they don’t all fuse together. If you haven’t already decided on a color scheme, do so now. (Check out Design Seeds from my previous post for help on choosing a palette). For the building materials, it is best to choose a neutral (like white, beige, brown, grey, etc) as the dominant color in the space, with pops of color for the accents (like green, yellow, orange, blue, etc). 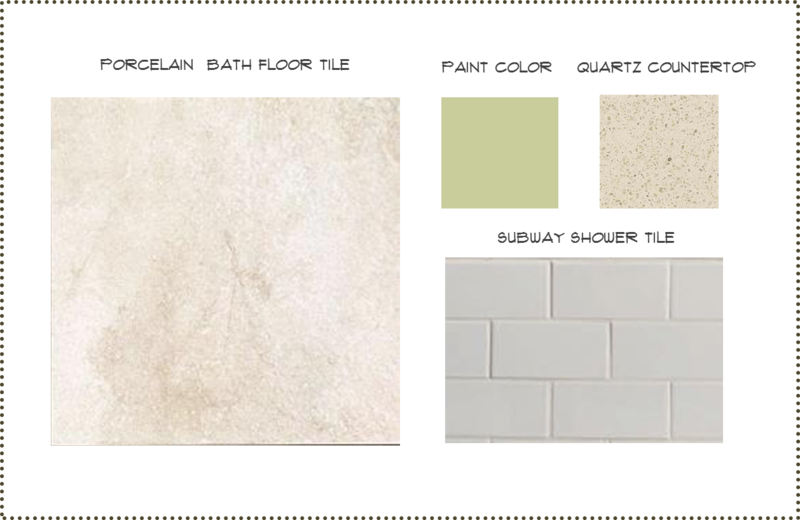 Problem: In this case there the floor and countertop are both cream/beige, but the shower tile is stark white. And then there’s the green wall. How can these colors work harmoniously together without clashing? 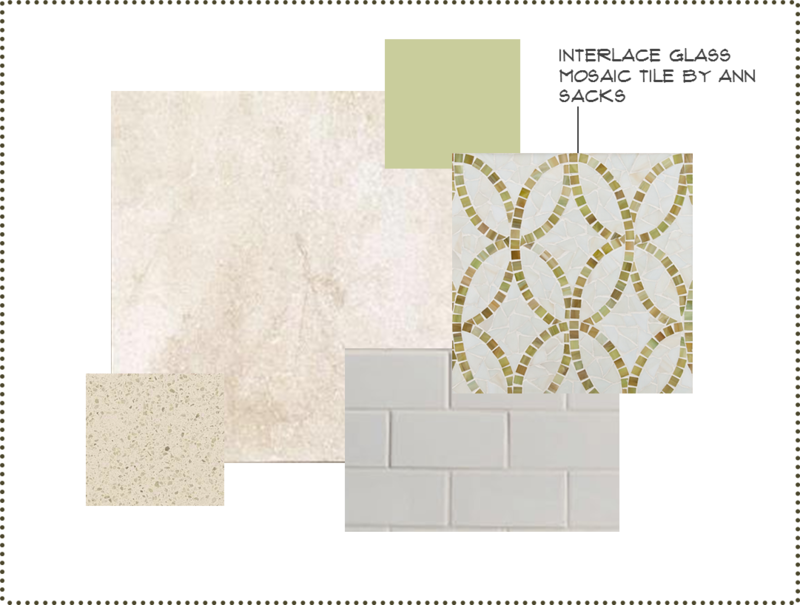 Solution: By choosing an accent mosaic tile that has all the colors in it, color story is united. -Do take the time to plan a budget before taking on the project. 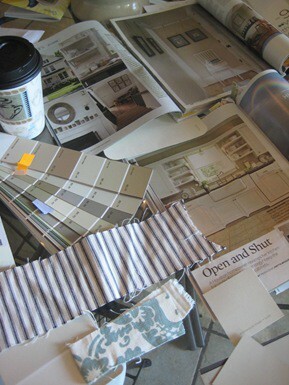 -Don’t go overboard on color or pattern. These things can date themselves quickly. Leave the majority of the color pops for the paint, accents, or accessories, as these items can be easily swapped out with trends over time.